The head of a Navy riverine boat squadron that was at the center of an international incident pitting the United States and Iran against each other in January was relieved of his command today. Commander Eric Rasch was the first officer to be publicly disciplined for errors that led to the capture and imprisonment of 10 American sailors on January 12. 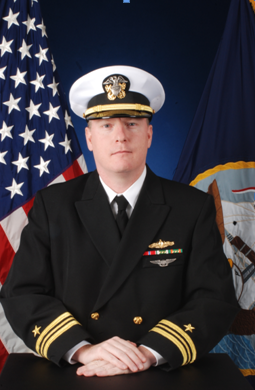 He was executive officer of the Coastal Riverine Squadron 3, was removed from his job by Capt. Gary Leigh, head of Coastal Riverine Group 1, for what a Navy Expeditionary Combat Command press release said was “a loss of confidence” in his ability to remain in command. "Capt. Gary Leigh, commander, CRG-1, made this determination following his review of a preliminary investigation into the incident near Farsi Island in the Arabian Gulf, Jan. 12-13, involving 10 CRS-3 Sailors," the release said. "Rasch was assigned as the executive officer of CRS-3 during this time-frame." Additionally, Cmdr. Gregory Meyer, who was commanding officer at the time of the incident, is currently with Coastal Riverine Group 1, and has been put on “administrative hold.” This means that the Navy will not transfer him out while a high-level review of the Navy’s investigation into the incident continues. The investigation into the Farsi Island incident has taken months. Members of Congress have questioned why the Navy took so long to release it. In February, Sen. John McCain, R-Ariz., who chairs the Senate Armed Services Committee, threatened to subpoena the captured riverine sailors if the Navy would not release the investigation findings promptly. Navy officials went scrambling to Capitol Hill to brief members of Congress the findings behind closed doors while the Navy continued its review process. Today’s move is the first in what are expected to be a number of disciplinary measures for what was a high-profile embarrassment for the U.S. Navy. 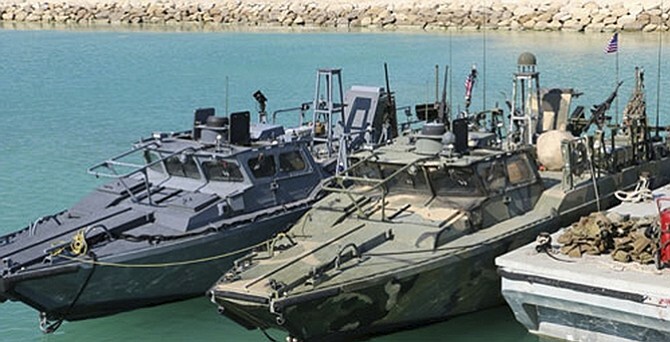 The 10 riverine sailors were captured and their high-speed boats were seized when they drifted into Iranian waters near Farsi Island in the middle of the strategic Persian Gulf. 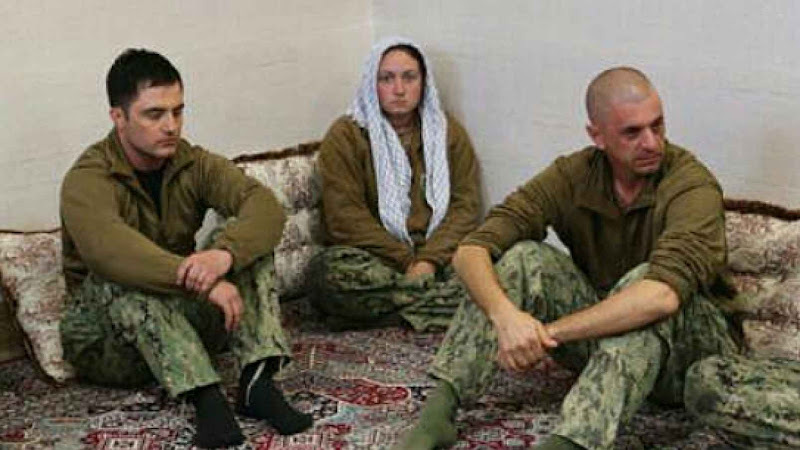 During their 16 hours of detention, an officer commanding the two vessels appeared to apologize while being videotaped, thus contributing to Iran’s propaganda that publicized the capture of the sailors. The investigation is expected to be released by the end of May. So far, official sources state that the incident was merely a navigational error that was accompanied by baffling errors in judgement on the part of the crew, leading to their capture. One theory holds that they had taken an unauthorized shortcut through Iranian waters to meet up with a U.S. Coast Guard vessel for refueling. Rasch has been reassigned temporarily to Riverine Group 1. Capt. Stanfield Chien has assumed command of Riverine Squadron 3 until a replacement is named. There are about 400 sailors in CRS-3. Leigh made the call to fire Rasch because the findings showed the officer "failed to provide effective leadership," which led to a lack of effective oversight. Commander Rasch joined the Navy in 1989 as an intelligence specialist, and received his commission in 2003. He served on the destroyers Benfold, Hopper, and Sampson. Rasch also served with the 504th Battlefield Surveillance Brigade in Tal’Afar, Iraq, during Operation Iraqi Freedom, and a later tour at Naval Surface Force Pacific in San Diego. The details of Rasch’s conduct during the incident are not known as of now, specifically as to whether or not he provided adequate leadership. The incident proved to be a major public relations disaster for President Barack Obama and Secretary of State John Kerry, whose deal to release billions of dollars in locked Iranian funds was to come to fruition on the very next day. 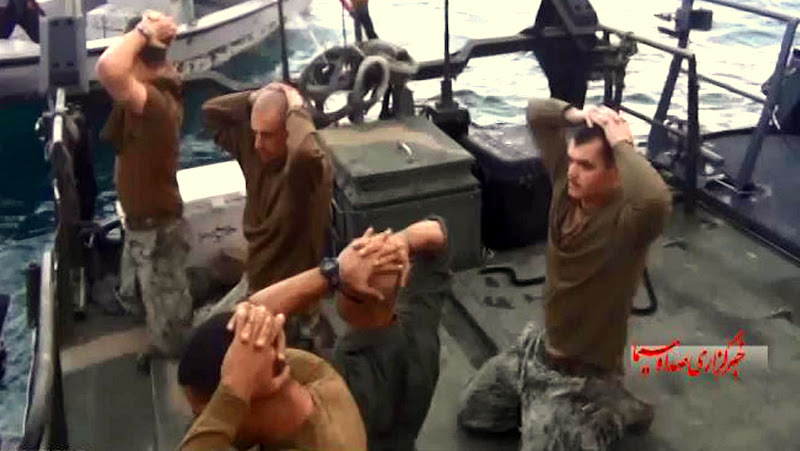 Despite working tirelessly for months to curry favor Iran’s favor to devolve their nuclear weaponization program, Iranian state media broadcasted images of the American sailors kneeling at gunpoint. The Iranians displayed a sailor weeping, while a female sailor was forced to wear a hijab.